We’ve always known it. 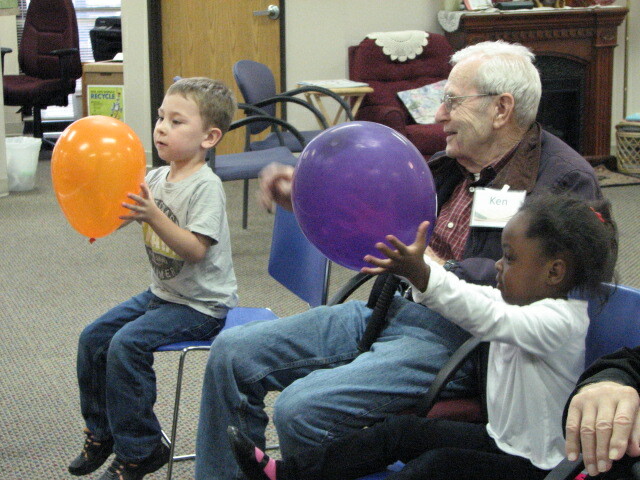 Play is good for young and old. Children learn new skills, Seniors practice old skills. Both enjoy the exercise benefits and have fun. Both practice problem solving. Both laugh. You don’t have to study this to know it’s good and it’s right. But if you DO need to study this. If you’d like a little scientific evidence that intergenerational play is good for both groups, then you might enjoy the following publication from Generations United (gu.org). www.bit.ly/Playisgood. Happy reading. And when you’re done…go find someone and toss around a balloon. You’ll feel better, I promise! !